Food network shows up in style! 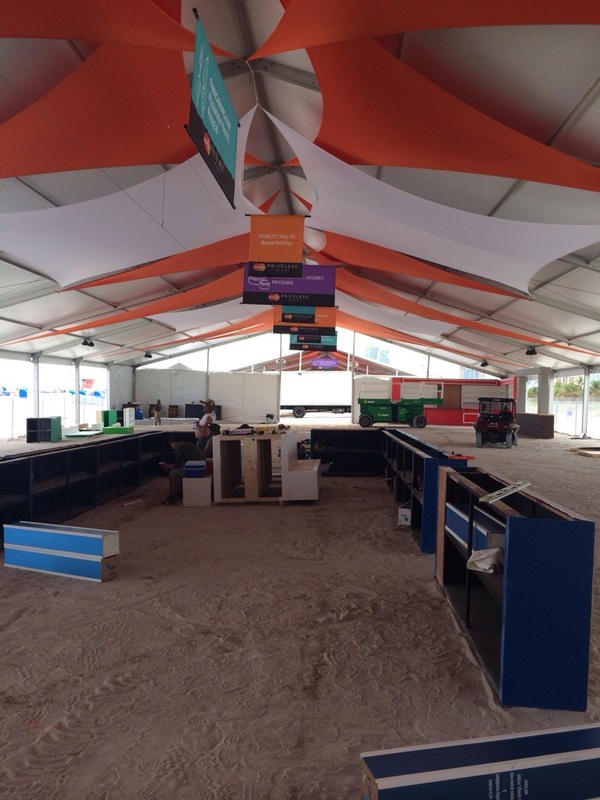 The village coming to life…. KitchenAid moving in to the village! 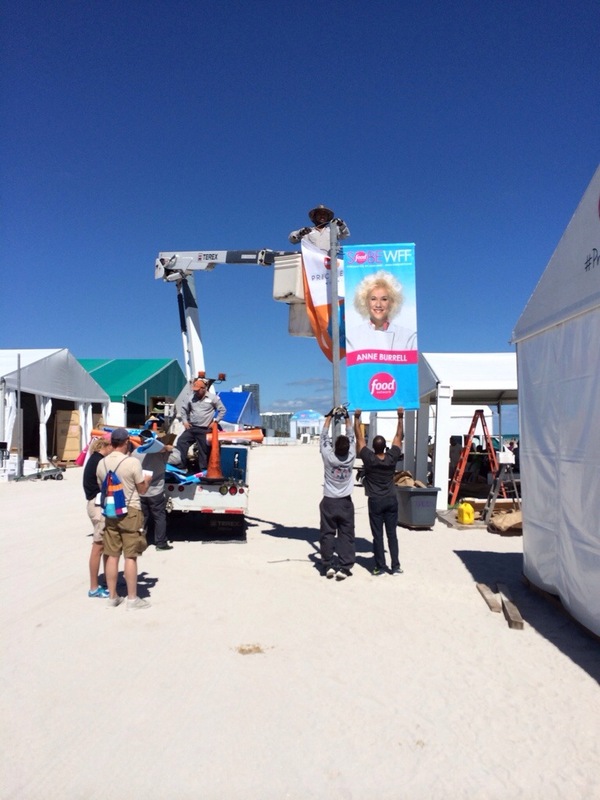 The WME team is putting together a series of really cool activations for the 2014 SOBEWFF. 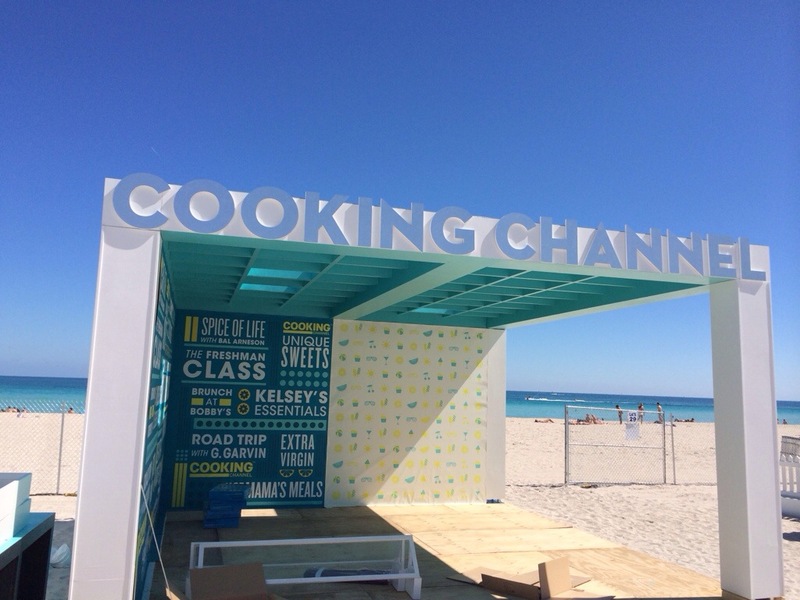 One in particular is the Cooking Channel who is a first time participant to the Grand Tasting Village and is sure to serve up a delight that will be sure to make you have a “cool” time at the festival. It’s here! 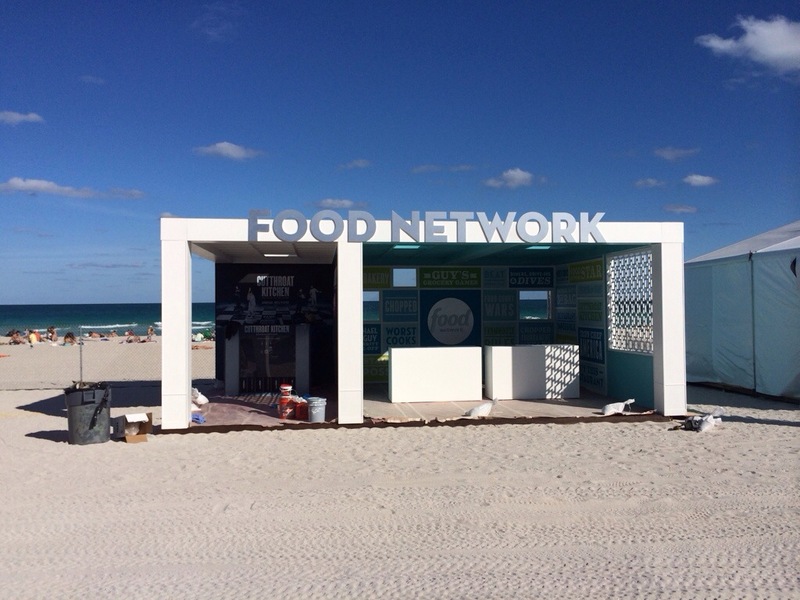 The Food Network South Beach Wine & Food Festival is right around the corner. 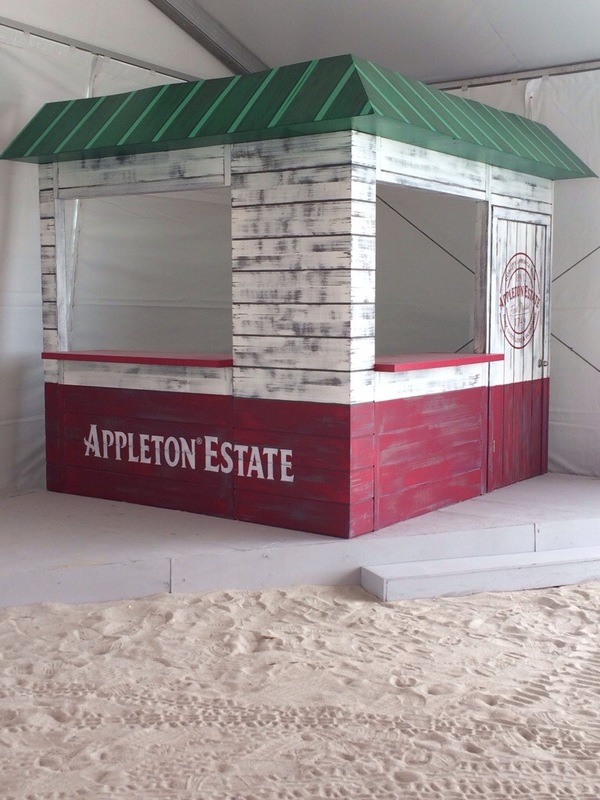 The WME team has been at work for the past few months creating our custom-designed corporate chalets and displays for over 27 corporate clients including Southern Wine & Spirits, Badia Spices, Del Monte Fresh, General Mills, the Food Network & the Cooking Channel, among many others. 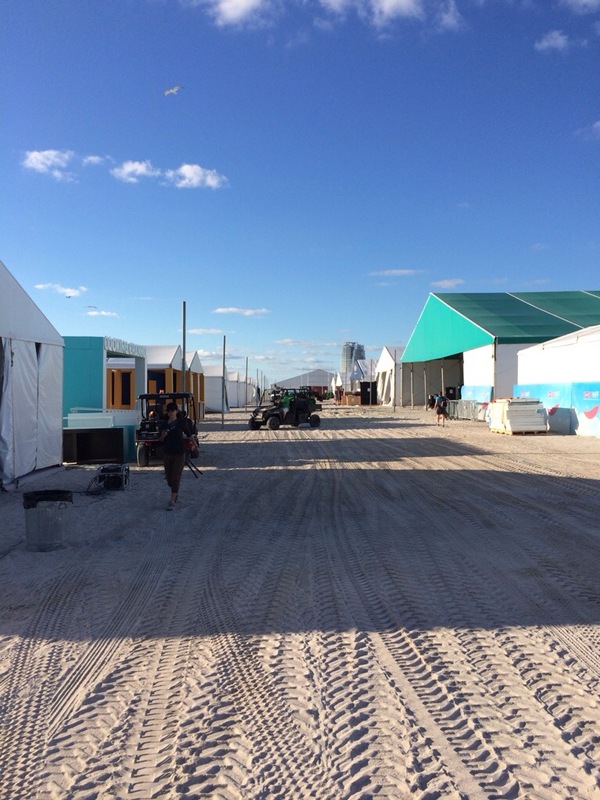 Logistics Management crews are already onsite installing the tenting, flooring, power grids, heavy duty equipment, and all the parts and pieces that allow our team of Warren Moore Events team members to come in with truckloads of custom built pieces that create the final experience that each and every one of the 65,000+ guests attending the 4 days of events, tastings, seminars cooking demos, and parties gets to experience. 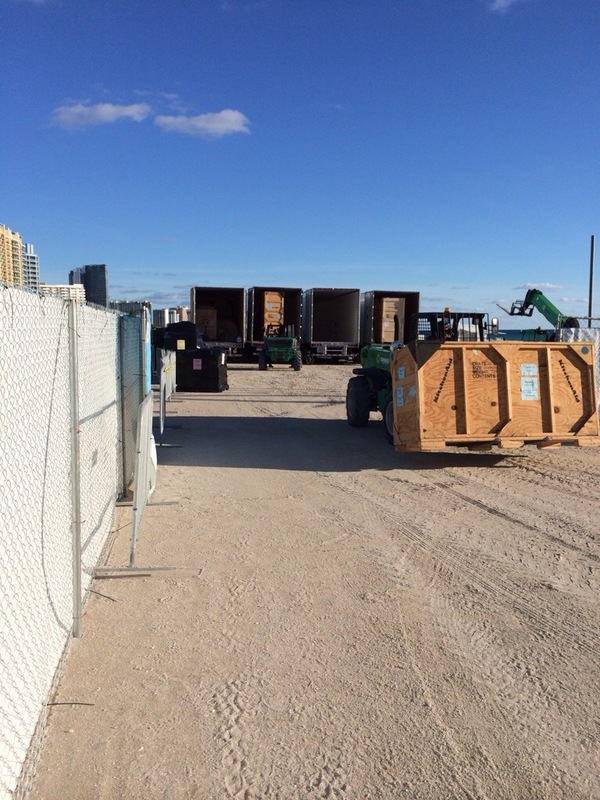 During the next few weeks we will show you a little behind the scenes peak of what it takes to create the Grand Tasting & Nighttime Events during the Food Network South Beach Wine & Food Festival. 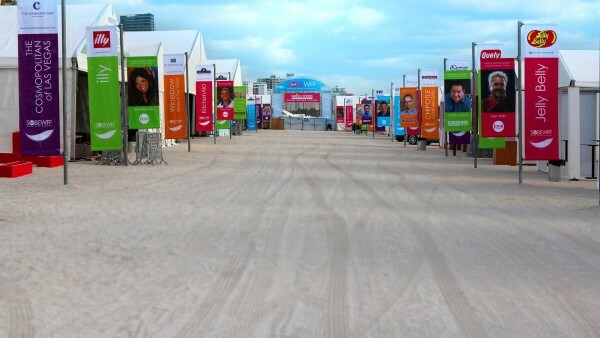 The Largest and Greatest Foodie event in the US on the most incredible vista around.